Aged Tequila BE_MEXICO DE COLORES, has been specifically created for a unique class market, with the highest quality requirements. Aged Tequila BE_MEXICO DE COLORES is exclusively made from Blue Tequilana Weber Agave, at its optimum maturity, grown in the AREA OF DENOMINATION (DESIGNATION) OF ORIGIN in JALISCO, MEXICO. The “Bouquet” and unique taste of aged Tequila BE_MEXICO DE COLORES, comes from its maturation in selected American white oak barrels; where it patiently ages, until it reaches perfection in its balance of body and character. Aged Tequila BE MEXICO DE COLORES is a unique and extraordinary product which praises and magnifies the singular complexity and unequaled characteristics of Blue Tequilana Weber Agave, combined with the fine woods in which it was aged. To the Sight: It is brilliant and sharp, with a soft gold color, enhanced by beautiful light golden sparkles; it shows great body and character, attained from the American white oak barrels; where it was patiently aged and zealously cared for. To the Sense of Smell: It gives off soft woody notes, which combine with citric and herbal touches, still retain a pleasant aroma of cooked agave, an unmistakable sign of its noble origin and lineage. 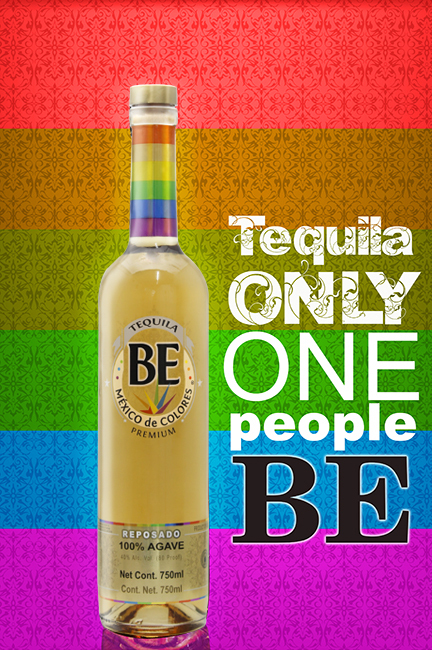 To the Taste: It is perceived as mild, slightly fruity and herbal with lovely combined flavors of cooked agave and wood, creating a pleasant “Bouquet”, at the same time providing an incomparable, perfectly balanced flavor; which makes Aged Tequila BE MEXICO DE COLORES, a unique and authentic product, for the most demanding consumers.